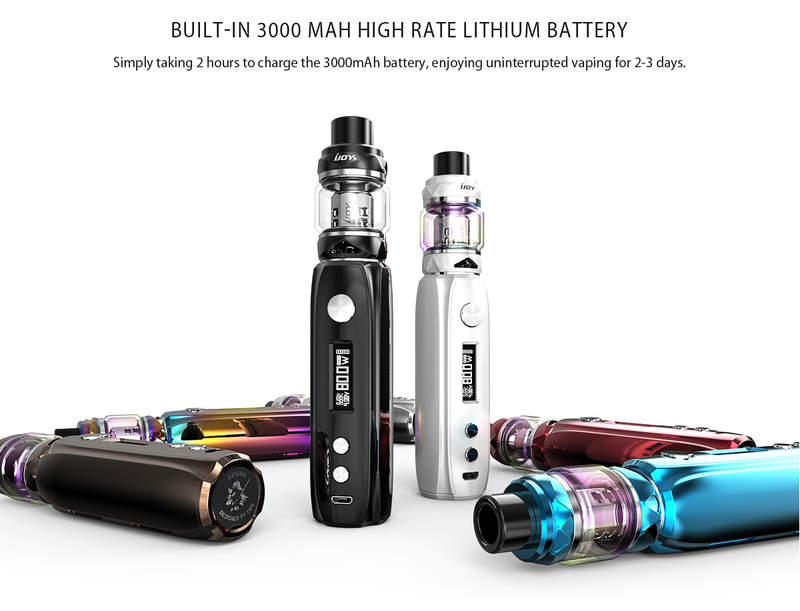 IJOY KATANA KIT Here comes the limited-edition e-cigarette by IJOY ! 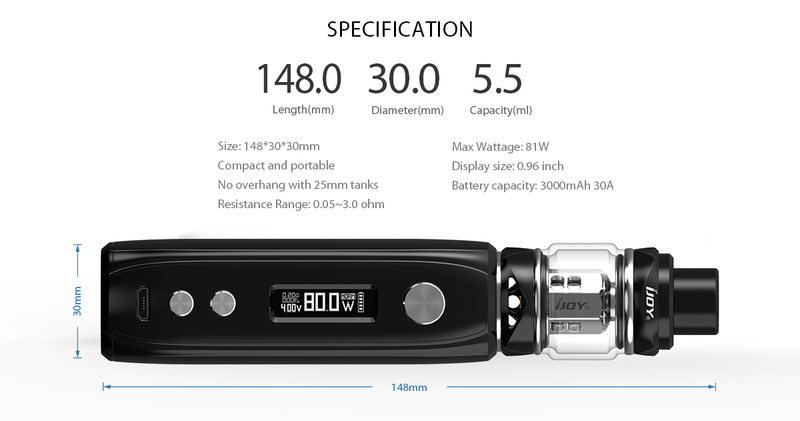 The IJOY Katana Kit is the first streamlined stick design e-cigarette with class-leading features. Equipped with a 0.96 inch OLED light indicator for your convenience. It carries IWEPAL control chip inside and built-in 3000mAh battery, which can last 2-3 days on a single charge. Firing at wattage up to 81W and optional POWER/POD/MTL and PASS modes. Combining the newest KM1, DM-M2,DM-M3 mesh wire coils with natural fiber cotton for giving you billowy clouds and intense flavor. Assembling the features of box mod, the convenience of stick shape and the experience of mech mod, you have no reason not to choose the IJOY Katana Kit. Stranica je napravljena za 0.072 sekundi sa 31 upita.